Coloring sheet for Halloween. 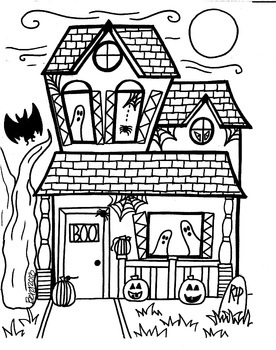 Spooky house with lots of fun details to color in. Kids love it!